If you are working on growing your real estate investing business, and you are doing it alone, do you sometimes become distraught by the amount of stuff that just never seems to get done? It seems that there aren't enough hours in the day or maybe you don't want to become a manager of a large team that you have to constantly supervise. If I just described you in your business, you are a candidate for partnering with a well-trained virtual assistant. Your main focus should be on your clients and customers, not the mundane yet necessary minutia, that must be performed. You May Ask, What is a VA? What can they do? Will I have to give up a lot of control? Are they expensive? Do they know MY business and industry? Come join us on Thursday, July 6th at the Charlotte REIA Main Monthly Meeting, and listen to our special guest speaker, Elsa Palmer-Oden founder of Virtual Office VA Staffing, based in Concord, NC. Elsa founded Virtual Office VA Staffing several years ago when she saw a rising need for real estate investors to better manage their time and efforts. Virtual Office VA Staffing, prides itself in offering top-notch results with trained VA’s located all over the country with a variety of skill sets. What are some of the services a VA can offer? If you want to learn how to grow your business exponentially,without the head and heart aches that could come along with it, please RSVP for Charlotte REIA's Main Monthly Meeting,and join us on Thursday, July 6th at 6:30PM at Raintree Country Club located at 8600 Raintree Ln in Charlotte NC! Please be sure to join us at the Charlotte REIA Rock Hill, Fort Mill, York County Sub Group on Tuesday, May 30th at 6:30PM at Towne Tavern at Fort Mill located at 2000 Hwy 160 West, Fort Mill, SC hosted by Jeffrey Richman. Come join Jeffrey and the rest of the Charlotte REIA crew at the Towne Tavern of Fort Mill. Jeffrey is going to teach you about the in's and out's of Virtual Wholesaling. What virtual wholesaling of Real Estate means is buying and selling properties long-distance using computers, online references, fax machines and smart phones. The advantage of virtual real estate wholesaling, is that the investor can spread their efforts across multiple markets, which will maximize their potential return on investment. Who RSVP Online via GoToWebinar.com! Please be sure to join us at the Beginning Investors Group Online on Wednesday, May 24th at 7:00PM ET with creative real estate expert, Larry Harbolt on how and why you should be using Land Trusts to purchase and control your real estate deals. Perhaps you've hear many, more seasoned investors talking about buying houses in trust but didn't know what they were talking about. Now is your chance to find out more about why Land Trusts are so important for your real estate business. If you've been wanting to learn more about Land Trusts, Register for BIG Online Now and don't miss this rare opportunity for Larry to teach you how to add this powerful tool in your real estate investing tool box. 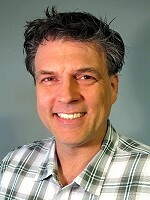 Larry Harbolt is the nation’s leading creative Seller Financing expert as well as a popular national real estate speaker and teacher whose time-tested strategies and nuts and bolts teaching style has helped thousands of aspiring real estate entrepreneurs realize their dreams with little or no money and without the need for cred. Larry has been successful creatively buying and selling real estate for over 30 years and has written numerous popular articles and real estate courses. The Beginning Investors Group Online (The "Big O" or BIGO) is an new online educational group that currently meets on the 4th Wednesday for new investors who are just getting started in real estate investing as well as “new again” real estate investors who’ve taken a few years off and are looking to get back in the game. Many beginning real estate investors are often thwarted by trying to determine if an investment opportunity is a “Deal” or “No Deal”. Some new investors jump on every potential deal that comes along because they are afraid to let one get away. Others can’t seem to “pull the trigger” on a deal because they’re afraid to make a mistake. All new investors face the same challenge: How do you know if you’re looking at a good deal or not? First of all, what could be a good deal for one investor might not be for another. Establishing your personal buying goals and criteria will help eliminate “No Deals” from your consideration quickly. After that, it’s a matter of knowing how to “size up” a good deal by knowing what to measure and how to calculate your potential profits and expenses. 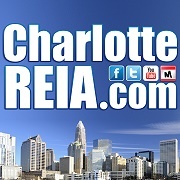 On Thursday, June 1st at the Charlotte REIA Main Monthly Meeting, we want you to Bring YOUR LEADS (Download Lead Sheet) where will pre-screen and analyze them, construct a few potential offers, and call the Sellers and get you an appointment and/or make deals on the spot (time permitting of course). If you want to learn “The Art of Making a DEAL”, please RSVP for Charlotte REIA's Main Monthly Meeting, bring your smart phone, tablet, your leads and join us on Thursday, June 1st at 6:30PM at Raintree Country Club located at 8600 Raintree Ln in Charlotte NC!! After the conclusion of the Charlotte REIA Meeting, we will be reconvening at Chili's Grill & Bar in the Arboretum located at 8136 Providence Rd in Charlotte, NC for Late Nite Networking. Food and drink specials for our members and guests. Come eat, drink, network and have fun with us as hang out late into the night! Do you need more motivated buyer and seller leads in order to do more profitable deals? If so, be sure to join us at Thursday, May 4th at 6:30PM at the Charlotte REIA Main Meeting at the Rain Tree Country Club which is located at 8600 Raintree Ln in Charlotte, NC where our special guest speaker will be Duncan Wierman also known as “Mr. Lead Generation”, who is one of the nation’s foremost Marketing Strategists for real estate investors will teach you “Extreme Online Lead Generation & Virtual Real Estate Investing”! Forget investing the old fashioned way. Let technology do the heavy lifting! At the meeting, Duncan will show you how to make HUGE profits in today’s real estate market by combining real estate investing knowledge with the power of the internet and technology! And to teach you even more, Duncan will be back with us on Saturday, May 6th for a full day Extreme Internet Marketing Workshop for Real Estate Investors to teach you how to beat the competition, increase ROI and DO MORE DEALS! Please join us for both dates to learn more about these exciting and profitable topics! PLEASE NOTE: If you are an Charlotte REIA Member you can download the software for free by logging in to the Charlotte REIA Members Only Website and navigating to the Members Only Downloads & Bonuses. Follow follow the instructions in the ReadMe file on how to unlock the software at NO CHARGE. Gold Members get the Unlimited Gold Edition (a $995 value). Silver Members get the Silver Craigslist Edition (a $100 value). Join Duncan at the Extreme Internet Marketing Workshop for Real Estate Investors on May 6th to learn how to fully leverage this awesome software! After the conclusion of the Charlotte REIA Meeting, we will be reconvening at Chili's in the Arboretum located at 8136 Providence Rd in Charlotte, NC for Late Nite Networking. Food and drink specials for our members and guests. Come eat, drink, network and have fun with us as hang out late into the night! Discover Internet Strategies for Real Estate Investing That Will Allows You To Quit Your Job In As Little 180 Days! Join Duncan Wierman on Saturday, May 6th, 2017 from 9AM to 5PM (Registration starts at 8:30 AM) at the Country Inn & Suites Charlotte located at 131 McCullough Dr, Charlotte, NC, for an amazingly incredible, step-by-step real estate training workshop where he will teach you how to Buy 5, 10, 15 houses or more per month, grabbing houses up fast and selling them for huge profits within hours, without risk, and without leaving your home! This is a breakthrough Marketing Workshop is designed to teach you “How To Create A Constant Stream Of Motivated Sellers and Hungry Buyers That Call You” and may be the most important trainings you’ve attended all year! The absolutely, positively Most important knowledge you must have to succeed in real estate investing is NOT about buying houses... it’s about “MARKETING YOUR REAL ESTATE ABILITIES” and generating leads! There are 100’s of ways to do a deal, but if you don’t have LEADS you have NOTHING. It’s time to face reality. You’re not in the real estate business... you’re in the business of marketing your real estate business! put them to use in 2017! Attract dozens of desperate, motivated sellers so you can cherry pick the hottest deals. Uncover hidden bargain deals on the Internet at record breaking speed. Buy properties below 65 cents on the dollar and then sell them within 1 hour. Turn your business into a system that makes you over $32,756.32 a month, each and every month! How to set up a system that can “sniff out” hidden properties that virtually no one is competing for, so the sellers see you as the only game in town. The incredible way to have automatic “robots” tirelessly working for you day and night, bringing you qualified customers and hot deals. How to get “private money” to finance your deals. No more getting fleeced by banks! Have your phone ringing off the hook with people begging you to take their money! Create a HUGE list of investors who want to be notified FIRST! They will be begging to buy your houses. We are going to PROVE IT to you live at this full day Extreme Marketing Workshop on Saturday, May 6th from 9AM to 5PM. Register Now and join us to discover Duncan’s secrets that he will be to sharing with you. These are the strategies that he has perfected throughout his own Real Estate Investing ventures and he will show you step-by-step how YOU can implement them into your business today. Register Now! *PLEASE NOTE: The 2-for-1 Early Registration Special is only for Charlotte REIA Members and is limited to spouses, adult children and corporate partners. Non-Members who join Charlotte REIA between April 24th through May 4th, 2017 can attend the workshop for FREE as new members and can bring a qualified guest. Also, Charlotte REIA Members who renew their membership for an additional year between April 24th through May 4th, 2017 can attend the workshop for FREE as well. When joining Charlotte REIA or renewing your membership, please indicate that you want to attend the workshop at no charge. Join us at the Movers and Shakers Breakfast every Wednesday at 8:30AM at Denny's located at 516 Tyvola Rd in Charlotte, NC, with Linda Dana and 20 or so other Real Estate Pros. People who have made the choice! This is a great opportunity for investors to network with the local "players" and learn from those who are doing it every day. Every week we discuss various real estate topics, we review deals and so much more. Excellent Education to better your investing strategy. Movers and Shakers is a breakfast meeting for educational and networking group led by Linda Dana that is designed to meet all levels of investors, beginners and advanced investors . Why Wholesaling & Why Now?!?! Please be sure to join us at the Beginning Investors Group Online on Wednesday, April 26th at 7:00PM ET with Mr. TyCoon will be teaching our members and guests "Why Wholesaling & Why Now?!. You've probably hear that wholesaling houses is all about "finding bargain properties and passing them along to bargain hunters at a great price". You've probably also heard that "you make your money in real estate when you buy". At the meeting, Mr. Tycoon is going to show you "when you wholesale houses, you make your money - in cash - before you buy!" He's also going to show you why finding bargain properties is probably the most important skill you can ever possibly learn as a real estate investor. PLEASE NOTE: This is a BRAND NEW Registration Link for 2017. Even if you have registered for BIGO prior to Feb 2017, you must re-register using this NEW Registration Link for 2017 or you won't be able to attend any of the upcoming BIGO webinars. Please be sure to join us at the Charlotte REIA Rock Hill, Fort Mill, York County Sub Group on Tuesday, April 25th at 6:30PM at Towne Tavern at Fort Mill located at 2000 Hwy 160 West, Fort Mill, SC hosted by Jeffrey Richman. Please Note: Towne Tavern is on SC Hwy 160 WEST of I-77. There was some confusion last month due to some incorrect maps. Make sure that you attend because if you missed the last meeting, you missed quite a bit. Come join Jeffrey and the rest of the Charlotte REIA crew at the Towne Tavern of Fort Mill. Jeffrey is going to teach you about how to make loads of dough by not renting your properties, but by doing rent-to-own/lease-options (the difference is just a price point). What you are going to see is real-life stuff that Jeffrey is doing right now with some of his properties. Secrets Of Rehabbing Success Exposed! An exciting opportunity is coming your way on Thursday, April 6th at 6:30PM at the Charlotte REIA Main Meeting at the Rain Tree Country Club which is located at 8600 Raintree Ln in Charlotte, NC where our special guest speaker will be James (Jay) Parker. Jay will be showing us how to experience success in rehabbing and flipping properties. No matter where you look in Charlotte today, you'll see construction. Buildings going up, houses being built. This month Jay is going to take the guesswork out of rehabbing. Jay has been in the Real estate business for the past 25 years. Jay is a master wealth creator. If you are looking for financial independence, or you are tired of living paycheck to paycheck Jay will show you how to get out of that rat race. Learn the correct way and duplicate Jay's success with rehabbing properties. TAKE ACTION, RSVP for this Meeting Now and join us and learn how to make rehabbing a success for you like it has for Jay! This event will take place at the Rain Tree Country Club which is located at 8600 Raintree Ln in Charlotte, NC. Charlotte, NC for Late Nite Networking. Food and drink specials for our members and guests. Come eat, drink, network and have fun with us as hang out late into the night! Join James (Jay) Parker on Saturday, April 22, 2017 from 8AM to 8PM at TBA, for the Successful Rehabbing Made Easy Full Day Boot Camp! Register Now! Are you ready to take advantage of the rising real estate market and get in on the red hot house flipping scene? Are you thinking about flipping but don’t know how? Does the idea of renovating properties scare you to death? Don’t know where to start? If the answer to any of these questions is yes, then you absolutely need to attend ReHab Roundup renovation event! Spend the day with Jay on April 22nd where Jay will spend the entire day teaching you how easy it actually is to estimate repairs. You will learn the art of flipping houses. Jay will show you a Step-by-step process to evaluate, avoid rookie mistakes and build a highly profitable fix and flip business. Jay will also show you easy to use systems and killer paperwork that he uses so you can tap into this exciting and potentially unlimited source of income for your financial freedom! Register NOW! and do NOT MISS this rare, highly affordable training opportunity! PLEASE NOTE: Early registration expires on Wednesday, April 12th at midnight. 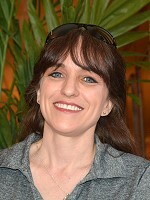 You can join Charlotte REIA at http://membership.charlottereia.com and save on tuition fees. For Additional Information Call 704-891-9619. 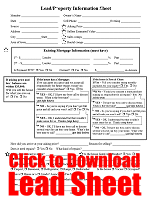 What You Need To Know About Buying Houses Subject-To! Please be sure to join us at the Charlotte REIA Rock Hill, Fort Mill, York County Sub Group on Tuesday, March 28th at 6:30PM at Towne Tavern at Fort Mill located at 2000 Hwy 160 West, Fort Mill, SC with Jeffrey Richman. At the meeting, Jeffrey is going to teach you all about how to buy gorgeous houses in great neighborhoods with little or no cash or cred by taking over the seller's existing mortgage(s) "Subject-To" (Sub2)! Jeffrey has been doing Subject To deals for the past 25 years and did 4 in the last two weeks, so this is not seminar stuff that you don't know if it works in the real world or not. Subject To is REAL! It works and it works very well. Tonight, some of the people showing up will testify that Jeffrey has personally helped them with some of their first Subject To deals. Come join Jeffrey and the rest of the Charlotte REIA crew at the Towne Tavern of Fort Mill. We have a private waiting room and Meagan will be our server. The food is good, the drinks are plentiful and the company is great! Leslie began her real estate career when she found herself broke and living in her parents garage after following the traditional path of "get a degree (she got two), get a job, and live the American Dream" failed her. With no money and no cred, she had to find a way out of her situation. "Mr Probate" Jim Banks and Reggie Brooks will be back at Charlotte REIA on Saturday, March 4th at 9:00 AM for the a Full Day, Double Header Real Estate Investor Workshop at the Fairfield Inn & Suites located at 8540 E Independence Blvd in Charlotte, NC where Jim will be teaching you all about Probate Profits and Reggie will be teaching you how to do $30,000+ flips! Part 1 - Probate Profits: Come join Jim and learn about a secret market where you can buy real estate and other valuables for up to 60% below market value! In this little known “niche” market, you can easily make multiple thousands of dollars when you sell, and that’s not even the best part. The best part is that anybody can do it! Even You!!! Now that’s just plain exciting! In this “unpublished” real estate market, you’ll find over 7 million properties waiting to be bought and sold. Being the originator of “The Probate Profits Training Course” our speaker, Jim Banks is more than qualified to teach you one of the best kept secrets in real estate investing. Stop competing with average investors over the same properties and learn how to tap into this lucrative market that will never ever run dry. TAKE ACTION, Register for this Workshop Now, take advantage of the 2-for-1 Early Registration Special and join us to learn the secrets of buying deeply discounted probate properties for massive profits! Part 2 - $30,000+ Flips: Whether it’s quick cash that you need right now, or long term wealth that you’re looking to build, it can be done fairly quickly, and Vacant Property specialist Reggie Brooks is the expert to teach you how to do it. Reggie’s going to teach you the steps he took to go from making $3,000 per month at the telephone company, to over $42,000 per month in his real estate business. And he did it doing exactly what he’s teaching - Vacant, Distressed, Abandoned Properties! How to get 100% funding for your profitable vacant property deals - You’ll be amazed! How to get all the money you need for you investments “chasing you”, instead of you chasing it. And there’s No Qualifying!!! How a blind student easily made over $14,000 on his 1st deal. He’s a rich man now! Reggie is a dynamic speaker/educator. Come prepared to take lots of notes. You don’t want to miss out on golden nuggets like very creative ways to find motivated owners of vacant properties, or the various case studies of people who have used Reggie’s system to make big profits buying and selling these unwanted properties. Again, please stop what you're doing and TAKE ACTION, Register for this Workshop Now, and come take advantage of the 2-for-1 Early Registration Special and join us to learn the secrets of buying distressed properties and probate properties at deeply discounted prices for massive profits! *PLEASE NOTE: The 2 for 1 Registration Special is for Charlotte REIA Members Only and is limited to spouses, adult children and corporate partners. Non-Members can attend for $29 per person. Non-Members who join Charlotte REIA between March 1st - March 3rd, 2017 can attend the workshop for NO CHARGE. Also, Charlotte REIA Members who renew their membership for an additional year between March 1st - March 3rd can attend the workshop for NO CHARGE as well. When joining Charlotte REIA or renewing your membership, please indicate that you want to attend the workshop at no charge. You can join Charlotte REIA at http://membership.charlottereia.com. Learn The Secrets of Buying Deeply Discounted Real Estate with Probate! A rare exciting opportunity is coming your way on Thursday, March 2nd at 6:30PM at the Charlotte REIA Main Meeting at the Rain Tree Country Club which is located at 8600 Raintree Ln in Charlotte, NC where our special guest speaker will be "Mr Probate" Jim Banks. Jim will be showing us how to tap into a massive amount of available properties that we can purchase for up to 60% below market value that most people don’t even know about! Did you know that there is a hidden market that is continually underserved and full of property that needs to be sold… from real estate to valuable personal belongings? There is an unpublished market with millions of available properties that haven’t been exposed to the general public yet, waiting to be bought at deep discounts. Investing in this hidden market is known as Probates Investing. Probate is the governing process for the liquidation and distribution of a person's assets to their heirs after they pass away. And just so you know, there is often no greater motivated seller than someone inheriting a probate property they don’t want and can’t afford to maintain from a thousand miles away! Stop competing with average investors over the same properties and learn how to tap into this lucrative market that will never ever run dry. TAKE ACTION, RSVP for this Meeting Now and join us and learn the secrets of buying deeply discounted probate properties for massive profits! The meeting will take place at the Rain Tree Country Club which is located at 8600 Raintree Ln in Charlotte, NC. PLEASE NOTE: This is a BRAND NEW Registration Link for Feb 2017. Even if you have registered for BIGO in the past, you must re-register using this NEW Registration Link for Feb 2017 or you won't be able to attend any of the upcoming BIGO webinars. Do you need more motivated buyer and seller leads in order to do more profitable deals? If so, be sure to join us at the Beginning Investors Group Online on Wednesday, February 22nd at 7:00PM ET where our special guest speaker, Duncan Wierman, also known as "Mr. Lead Generation", who is one of the nation's foremost Marketing Strategists for real estate investors will teach you "Extreme Online Lead Generation & Virtual Real Estate Investing"! Forget investing the old fashioned way. Let technology do the heavy lifting! Duncan will show you how to make HUGE profits in today's real estate market by combining real estate investing knowledge with the power of the internet and technology! The natural tendency for any new investor is to start small and work their way into the business. This works in some cases, but eventually they will want to move towards bigger deals with higher returns. One of the areas where investors can look for bigger returns is with multifamily properties. The greater the number of units, the higher chance they can reduce their vacancy factor and generate more cash flow. Just by adding only one or two more units scares off many investors and leaves them panicked. However, investing in multifamily properties can be very profitable and a lot easier than you think. Kenny Roundtree has 25 yr’s experience in investing. He currently owns several houses and small apartment buildings. Kenny enjoys helping and putting together multifamily projects for investors. 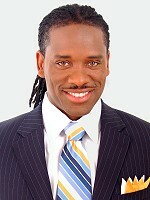 He is the owner of Edwards & Chase Affordable Housing Specialists since 2009. Kenny’s Objective has been to improve and uplift “struggling” neighborhoods in the Greensboro area. He set a goal to Secured a 10 unit project at budget which generated a 25% annual cash on cash return and achieved it. Then went on to Completing two 5 unit apartment buildings that that have generated a 20% total return. He currently, Maintains a 95% occupancy rate versus the average of 85% for the city of Greensboro. 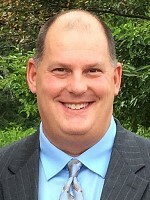 Kenny has also been Board member of Triad REIA. Kenny believes that for every investor that focuses on single family properties, there are others that exclusively entertain multi family properties. Instead of closing ten individual single family transactions, they can get to their ten units in as little as just one deal. Even if they close two four-family properties, they can scale more quickly. This comes at a higher cost per property, but there is something to be said in closing only a few deals a year rather than trying to close multiple deals to get to the same point. It is also easier to manage two physical locations rather than scrambling around managing ten. If you can get the same number of rent checks coming in, but only have to focus on a handful of properties, it is more appealing. Is it starting to make sense why the single family vs multi family argument is still continuing to this day? It’s clear they both offer significant advantages to the investors who choose to take them on. Having multiple units also increases your chances at collecting rent every month. If you have one single family property and the tenant stops paying, you have no other source of income for that property. On multi-unit properties, you have multiple tenants that will theoretically pay you rent every month. One tenant that stops paying on a ten unit property will not send you into delinquency. It is less expensive to own a multi-unit property than most people think. Even though you have additional units, you still only have one roof, one yard, one driveway and one basement. There is also much greater upside potential on a commercial property than with any single family one. When you decide to sell a single family house, you are largely at the mercy of the market and the comparable sales around you. If the area is depressed, you can have the nicest home on the block but your comparables will dictate a lower sales price. With commercial properties, you can offset a shift in the market by using market rents as a way to calculate value. If rents are strong, they will be the most important factor that buyers look at. This month Kenny will share with you how he Evaluates a 6 Unit. We’ll cover how to Determine rehab costs, securing contractors, and Acquisitions. This month at the Charlotte REIA Main Meeting on Thursday, February 2nd at 6:30PM, Kenny Roundtree will share with you how he Evaluates a 6 Unit. We’ll cover how to Determine rehab costs, securing contractors, and Acquisitions. The meeting will take place at the Rain Tree Country Club which is located at 8600 Raintree Ln in Charlotte, NC. Don DeRosa is teaching this 3 Day Online Jump Start Training Series to help get his Coaching Students, Property Protégé Group Members, our REIA Members' real estate investing business up and running quickly. If you are a new investor or a "new again" investor, this is a training series you don't want to miss. Day #1 is How to Jump Start Your Creative Real Estate Investing Business. This class teaches you the "Pretty House" side of the business and how to buy nice houses, in nice neighborhoods with none of your own cash or credit. Day #2 is How to Jump Start Your Wholesaling Business. This class teaches you how to find distressed, ugly properties and to wholesale them to other "fix and flip" and "buy and hold" investors for nice chunks of fast cash. Day #3 is How to Jump Start Your High Tech Homebuying Business. This class will teach you how to use everyday technology such as PCs, Smart Phones, Tablets and other hardware, software, apps and gadgets to operate, systematize and automate your real estate investing business. In addition to all this great information and training, Don will also be giving all attendees these additional bonuses valued at over $4000! Digital PDF copy of Don's eBook "Stop Losing Money Evaluating Deals" – Use in conjunction with Easy Offer Maker software to tell you what numbers you need to focus on. Digital MP3 Audio & MP4 Video Recording(s) of the "How To Jump Start Your Creative Real Estate Investing Business" Online Workshop. This will not be delivered until after the event takes place and the files are created and edited. Digital MP3 Audio & MP4 Video Recording(s) of the "How To Jump Start Your Wholesaling Business" Online Workshop. This will not be delivered until after the event takes place and the files are created and edited. Digital MP3 Audio & MP4 Video Recording(s) of the "How To Jump Start Your High Tech Homebuying Business" Online Workshop. This will not be delivered until after the event takes place and the files are created and edited. Don't miss this great opportunity to learn about how to buy pretty houses without your own money or credit, how to wholesale distressed properties for fast cash and how to operate and automate your real estate investing business using technology! Even if you can't attend any of these events due to your busy schedule, you can still sign up and get all the bonuses and the recording of these live trainings. Also, because it is an online training event, you don't have to travel to Atlanta to attend this event. You can attend online via GoToWebinar on your PC, Mac, Tablet or Smart Phone. You can also purchase any of these 3 events separately or get more detailed information about each event using the links below. Sign up for all 3 Days of the Jump Start Your Real Estate Investing Business Training Series! Don’t miss the Charlotte REIA Main Meeting on Thursday, January 5th at 6PM, where our special guest speaker will be Attorney Mary Hart who is a NC Licensed Realtor and an active real estate investor, owning several properties in North Carolina and Kentucky. The meeting will take place at the Crowne Plaza Hotel Charlotte Executive Park which is located at 5700 Westpark Dr in Charlotte, NC. Mary believes in preserving wealth through Estate Planning, Asset Protection Planning, Investing with Self-Directed IRAs, Private Money Lending, Selling Real Estate through a Section 1031 Tax-Deferred Exchange and more. Mary also believes that financial literacy is missing in the lives of most Americans as financial education is not generally taught in the school system and she hopes to help raise awareness of the importance of financial knowledge to the quality of life of all Americans. Mary established The Hart Law Group, P.C. in 2006 in Asheville. She has been voted the #1 attorney in Asheville by Mtn Xpress (a local independent publication) readers for the last two years. She is also the owner of Carolina 1031 Exchange, LLC which serves as a Qualified Intermediary and Exchange Accommodation Titleholder for Section 1031 like-kind tax-deferred exchanges. If you are serious about building wealth in today’s real estate market, you don’t want to miss this forum! RSVP Now! All this is happening at the Charlotte REIA main meeting on Thursday, January 5th at 6PM at the Crowne Plaza Charlotte Executive Park located at 5700 Westpark Dr in Charlotte, NC.